RALEIGH, N.C. — Long before accusations of absentee ballot fraud in a small North Carolina county cast doubt on the results of a heated 2018 congressional race, a state elections investigator spent weeks probing whether the man at the center of the current scandal was among a group buying votes. That 2010 investigation was one of at least a half dozen instances over the last nine years that prosecutors and elections officials received complaints of serious elections irregularities in Bladen County, a rural locale of 35,000 people that has long had a statewide reputation for political chicanery by both Republicans and Democrats. 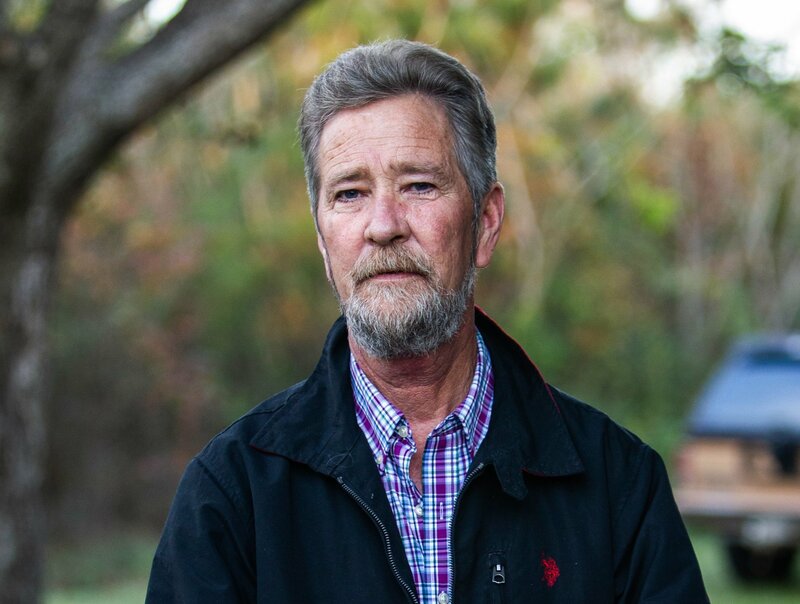 The state’s ongoing criminal investigation into 2018 voting irregularities has focused on Leslie McCrae Dowless Jr., a local political operative and convicted felon. Emails obtained by AP through a public records request detail the elections board’s 2010 investigation in Bladen, which began after a Democratic candidate for county commissioner reported seeing political operatives handing voters what he suspected to be cash outside an early voting site. Dowless did not respond Tuesday to a message seeking comment. His attorney, Cynthia Adams Singletary, issued a statement last month asserting that Dowless hasn’t broken any campaign laws. The AP first reported last month that North Carolina’s top elections official issued an urgent plea nearly two years ago for the Trump administration to file criminal charges against Dowless and others, warning in a January 2017 letter that those involved in illegally harvesting absentee ballots in Bladen would likely do it again if they weren’t prosecuted. Also at issue is whether Dowless was working part of a larger local political machine, including whether he could have had improper help from current or former Bladen County officials. The state Board of Elections refused to certify the results of the Nov. 6 vote where Republican Mark Harris leads Democrat Dan McCready by 905 votes, according to unofficial results. State investigators are also probing Dowless’ work for Harris for the May 2018 Republican primary, in which he narrowly defeated incumbent U.S. Rep. Robert Pittenger. North Carolina’s appointed elections board was dissolved earlier this month by a panel of three state judges who in October struck down the GOP-back law that formed it as unconstitutional. A revamped board is due to be seated Jan. 31. Democratic leaders in the U.S. House have said they won’t allow Harris to take office because of the ongoing investigation. The U.S. Constitution makes the House the judge and final arbiter of its members’ election contests. “Everybody will tell you that McCrae takes cash for work,” Smith told AP in an interview last month, recounting the payments. North Carolina’s legislature has repeatedly voted to outlaw so-called sweepstakes games, which typically resemble video slot machines. But many of the operations have managed to stay open with court challenges, software tweaks and frequent political donations. Larry Guyton, McVicker’s chief deputy, said the sheriff declined to comment. Though Tutor’s 2010 investigation didn’t yield a criminal case against Dowless, the investigator said he did gather strong evidence of wrongdoing by others. The elections board doesn’t have authority under state law to make arrests or file criminal charges. Emails reviewed by the AP show Tutor met with agents from the State Bureau of Investigation, North Carolina’s version of the FBI, about pursuing a potential criminal case against Sue Anne Long, a state probation and parole officer. Tutor says he provided witness statements attesting to Long’s alleged misconduct, but the case was later dropped. Tutor says the witnesses, whom he described as elderly black people, weren’t deemed credible enough to bring criminal charges against Long. “I was told the witnesses wouldn’t be good in court,” Tutor told the AP.